Buena Vista has a wide variety of Parks and Facilities that can be rented out for private parties, meetings, weddings, receptions, and so much more! They are reserved on a first-come, first-served basis, so please get your applications in early if you’re planning an event! 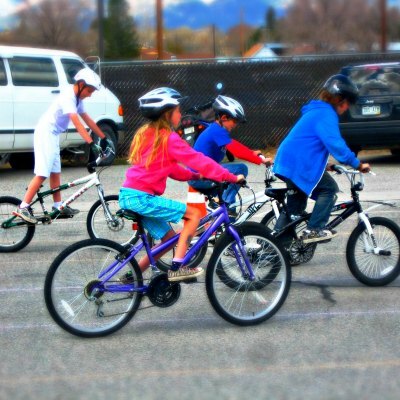 Parks and amenities can also be used on a regular daily basis. Buena Vista Town Park Hours: Dawn to 10:00pm. 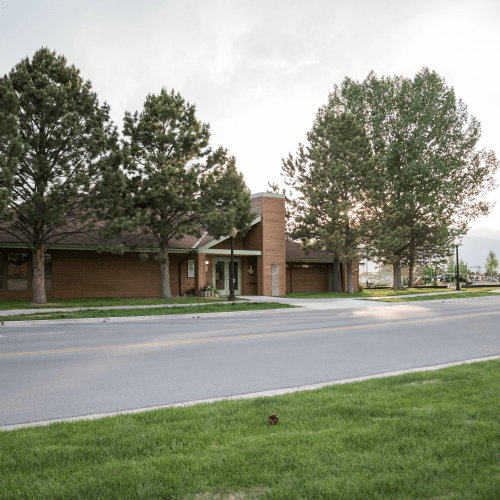 Located at the east end of Main Street, the Buena Vista Community Center is available to host meetings, presentations, special events, and a variety of other activities. Click here to learn more about available rooms and equipment, pricing, occupancy regulations, and much more. The Buena Vista Optimist Square Splash Park is located at the southeast corner of East Main Street and Railroad Street. With a fountain to keep the kids cool in the summer, this park is a popular hangout for visitors and locals during BV’s busy season. 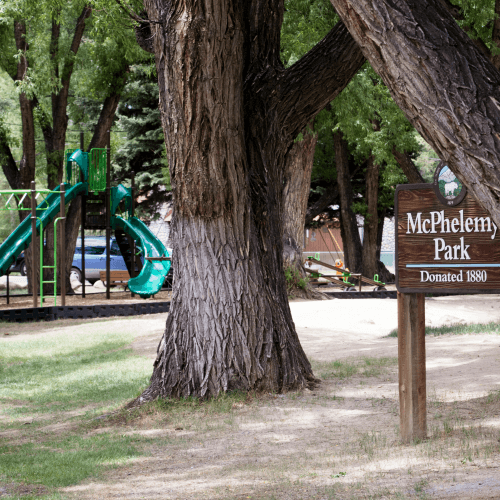 This park is located on Highway 24, just south of the stoplight in downtown Buena Vista behind K’s Dairy Delight. This park has a lot of space and includes a large playground area. 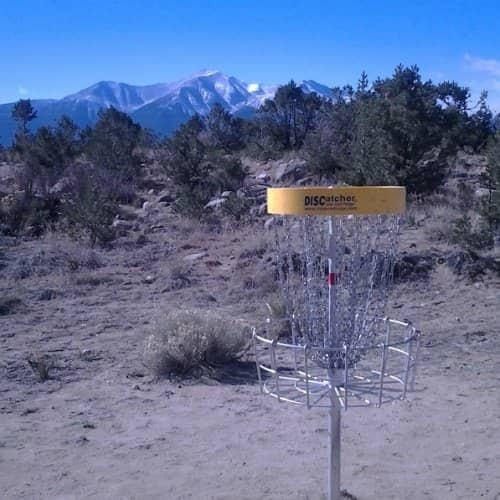 Nestled within the confines of the River Park, this frisbee golf course is great to play for every range of talent! If you’re a beginner or even a pro, come out and enjoy this great course — AND the beautiful scenery that comes along with it! This park is located next to the Little League field, just to the west of the soccer field in the River Park. 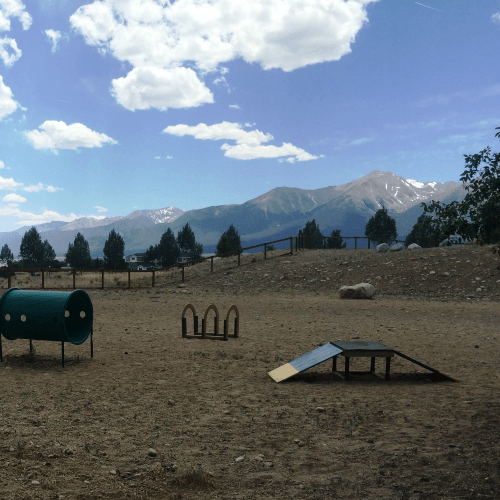 This great, off-leash area is located close to the Buena Vista River Park and it is an awesome location to let your favorite canine friends do some exploring! Located across from the Community Center on East Main Street, this park offers two areas: one designated for small dogs and one for larger breeds. Please be considerate of others and use the waste stations to clean up after your dog. Be responsible pet owners and only bring dogs that are sociable and friendly! 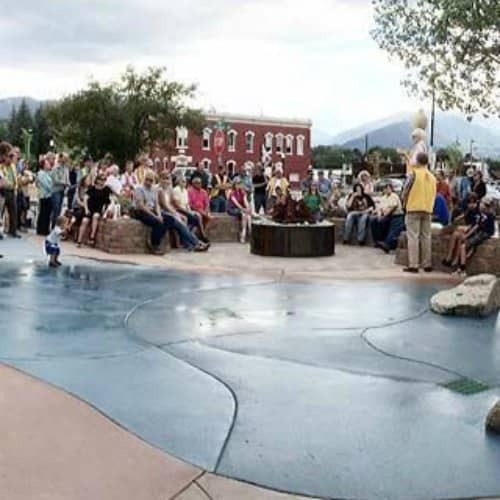 This park is located three blocks south of the stoplight in downtown Buena Vista, on Highway 24. Located in this park is the Buena Vista Chamber of Commerce as well as a half basketball court. This park is located at the stoplight in the center of Buena Vista, at the intersection of Highway 24 and Main Street. 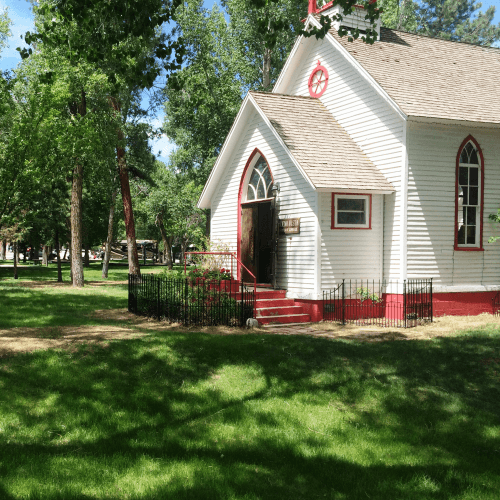 This facility is where Concerts in the Park are hosted as well as a variety of other events, such as Paddle on the Pond, and it is also the site of the Buena Vista Historical Society’s Railroad Museum. This park is located on Marquette Avenue, just east of Buena Vista High School. 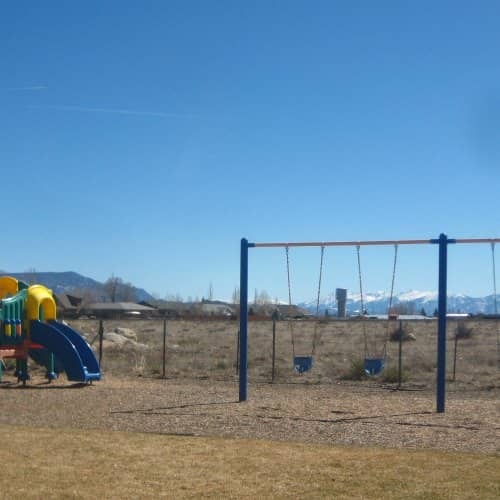 Within walking distance of various subdivisions, this park features a safe, fenced-in field area for sports play, two swing sets, and a playground. There are also picnic tables, so make it a day — enjoy the view and have some fun with the kids! Come soar to great heights! 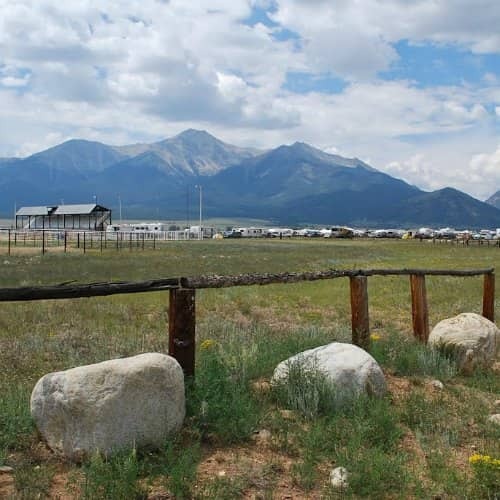 The Buena Vista Remote Control Airstrip is located to the west of the Buena Vista Rodeo Grounds. 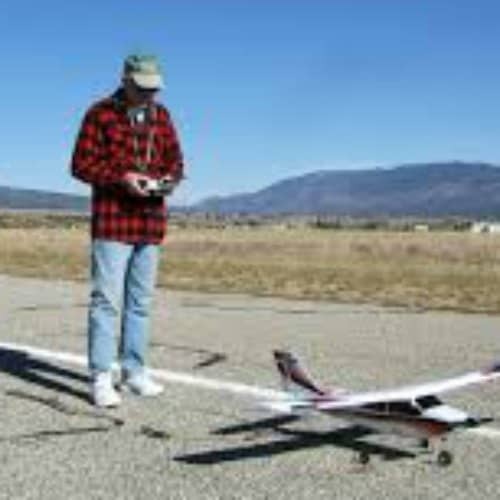 Complete with a paved runway, this is the perfect place to come try out your remote control aircraft! 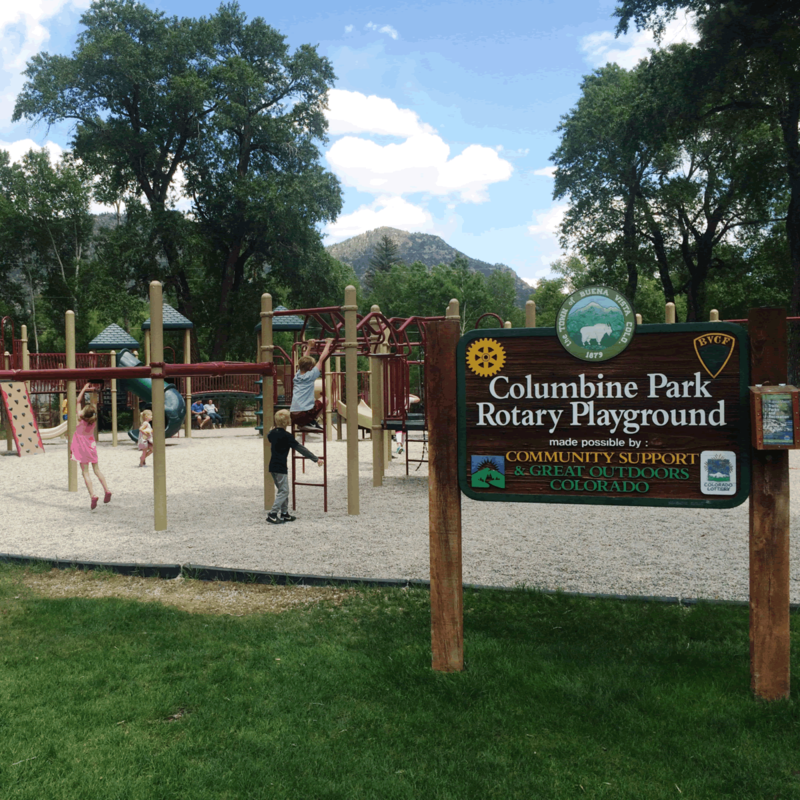 This park is located at the end of East Main Street in Buena Vista next to the Arkansas River. 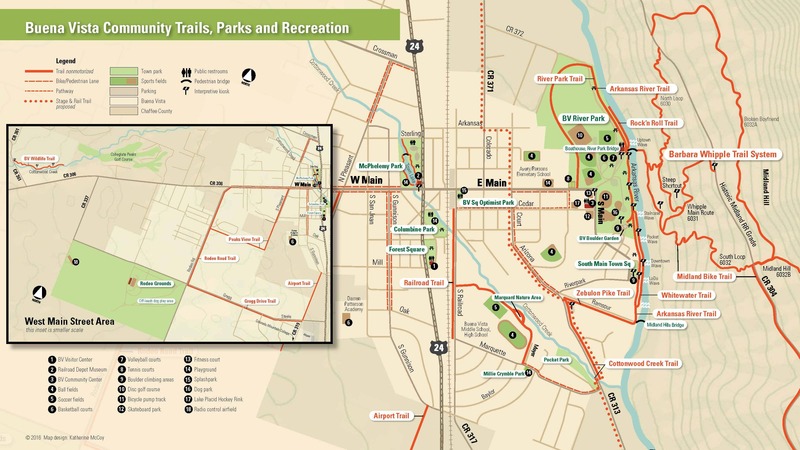 From the River Park there is easy access to various mountain biking, hiking, and horseback riding trails via the Midland Trail system. This park also houses our Skate Park, Dog Park, Disc Golf Course, Softball Field, Youth Baseball Field, Soccer Field, Basketball Courts, Tennis Courts, and Sand Volleyball Courts! The Rodeo Grounds are located on County Road 321 just west of the Gregg Drive intersection. The oversize arena, bucking chutes, and the no longer extant horse race track were constructed in the 1920s with the historic grandstand addition constructed in 1936 by the Works Progress Administration with materials donated by local residents. 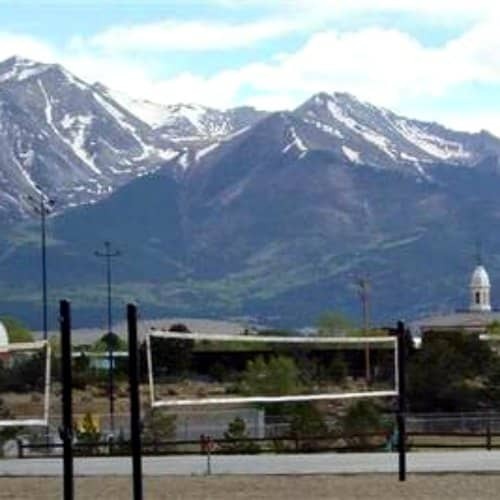 The site has been home to the Colorado Professional Rodeo Association’s (CPRA) sanctioned Collegiate Peaks Stampede Rodeo for more than 90 consecutive years. The facility is suitable for a variety of equestrian events and large crowd gatherings including spacious parking areas. Also featured is an off-leash dog area that makes a one-mile loop where canines can run free! Please utilize the clean-up stations provided and stocked with bags for easy disposal of waste. 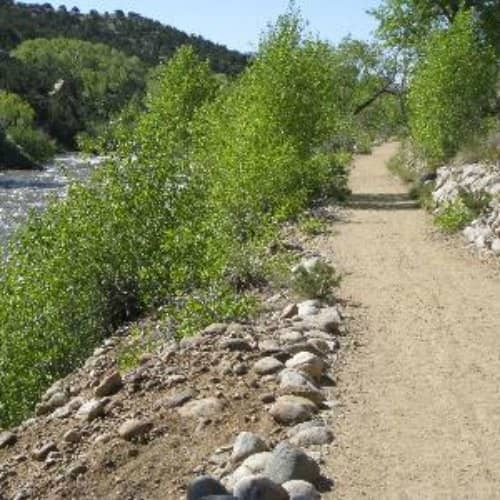 This trail follows along the Arkansas River connecting the South Main area to the Recreation Area north of the River Park. This path is beginning level and is perfect for individuals of all ages! Come down and walk next to the river — during the summer months you’ll be sure to see various species of animals and in the winter you may even catch a glimpse of a bald eagle. Plus, with a view like ours, who could resist this beautiful experience? Ready to ride some sweet rails or take on a sick jump? 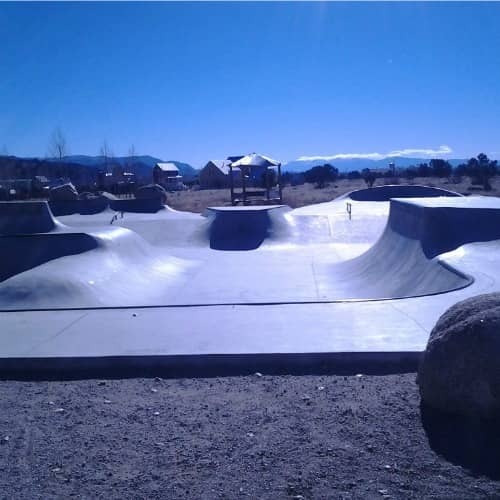 The Buena Vista Skate Park is located just south of the Community Center. As part of the River Park, this area is easily accessible from both Main Street and South Main! This park is located in the new South Main development along the Arkansas River. 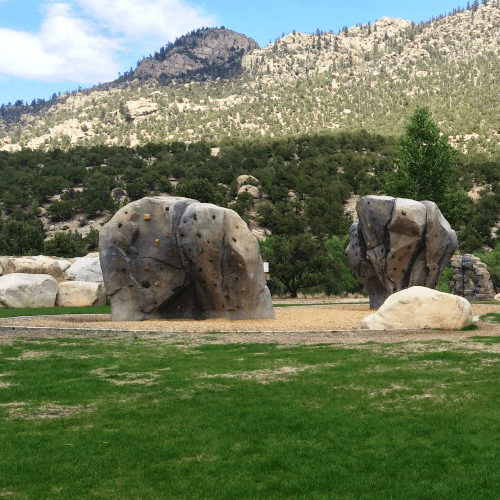 Boulders for climbing, access to the whitewater park, and fun outdoor activities can all be found at this location! The Buena Vista Whitewater Park has recently been expanded downstream into the South Main Neighborhood development. 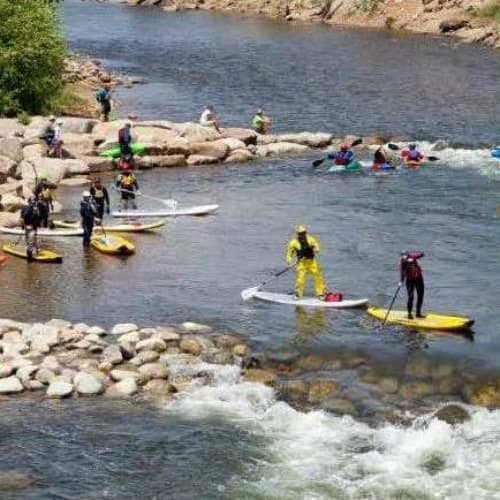 With 5 main whitewater structures and numerous eddy and trail improvements, as well as climbing walls and trails, it is quickly becoming the premier whitewater park in Colorado. All of the features have been fine-tuned to optimize hydraulic performance and better the park for everyone who uses it! Each of Buena Vista’s beautiful parks as well as our Community Center can be rented for small, private events or for larger, Special Events. To rent a park or facility for a small, private event, please make your reservation online. Questions about cost? Please consult the Fee Schedule.